The Old Colonial House was designed to enhance this great location when it was built in the 1920's. All the rooms are on one level and all the living rooms and bedrooms were built at the front of the house to benefit from the spectacular views. The house retains much of the original character but has ben carefully updated to provide comfortable living spaces. The large private car park provides 2 spaces for each property. There is a TV & Video, CD player, Washer/Dryer, Dishwasher, Double Fridge and Microwave in each property. Linen is provided but not towels. All three properties benefit from uninterrupted sea views and magical sunsets. This beautiful part of the South Devon coast is close to the southernmost point of the country and enjoys a superb microclimate of its own. The Cove's sandy beaches are both sheltered and safe for children. 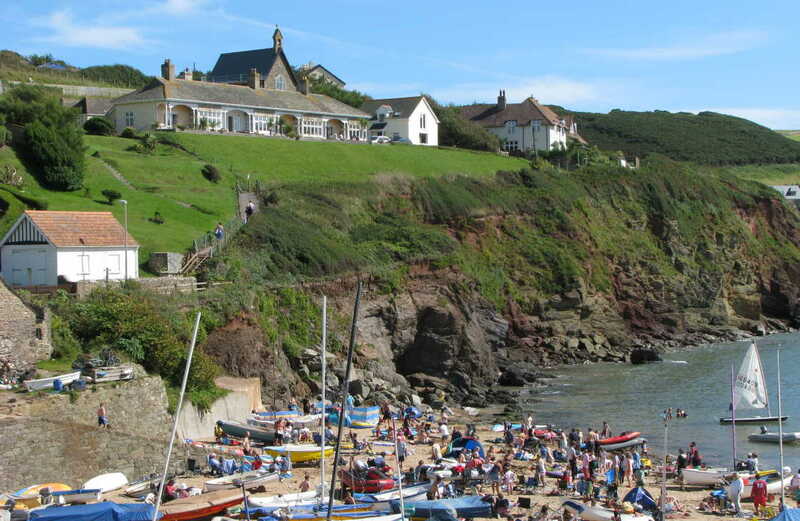 Hope Cove has it's own Post Office & well stocked General Store. The Hope & Anchor is renowned for its excellent food and is situated a few minutes walk from the house. Nearby Salcombe and Kingsbridge have an excellent array of shops, boutiques, amenities and numerous restaurants. 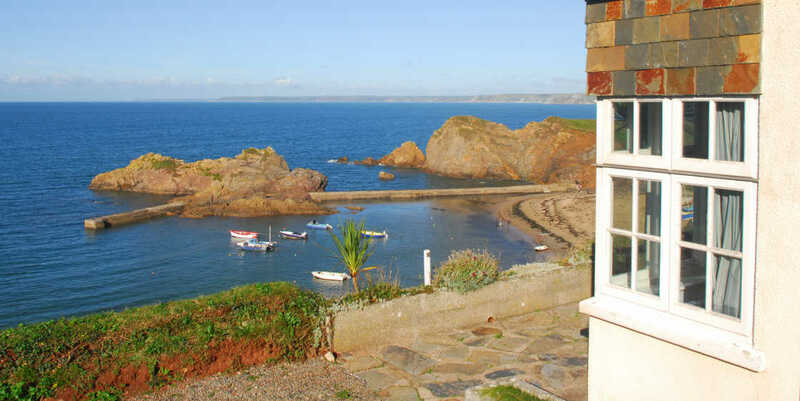 Hope Cove also provides facilities for launching and mooring small craft.